NET.Notes EVENTS is multilingual software. The proper UI language is user’s option easily available from top menu. 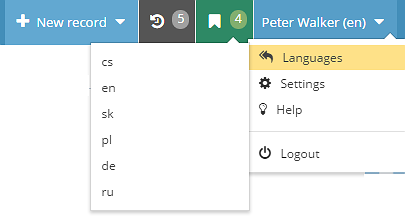 Users with different language option enabled can work together on the same EVENT. Are you missing your language? … we can add yours easily. Do you have a lot of information in your NET.Notes EVENTS available? The search capabilities are your saver. You can search using simple text even with typos, but you can also apply date or number value ranges or use geolocation searches where applicable. The overall user interface is based on tabs. New item, view or any existing items are opened in the new tabs. User stays on the same screen where different information is available using simple tabs navigation. Tabs are persisted between browser restarts, user can rearrange the tabs order using drag and drop, users can close each tab individually or all tabs at once. The concept of workspace with tabs creates very consistent and easy to understand user interface. NET.Notes EVENTS stores information about users activity throughout the entire system. 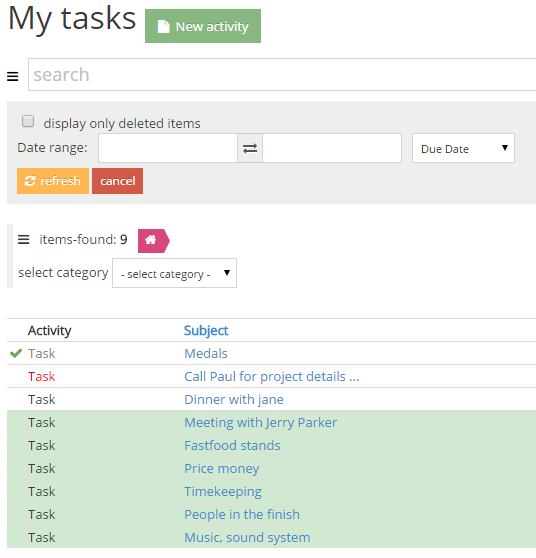 Application monitors activities like creating new to-dos, saving existing to-dos or adding comments to parent documents. 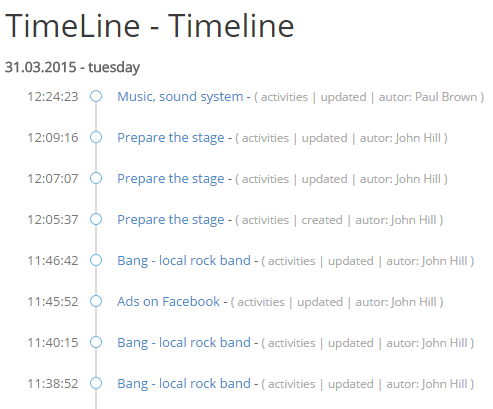 TimeLine is then a graphical interface to these information displaying user activities categorized by date. If you were out of the EVENT for some time and you are getting back now, the TimeLine is great place to get quick overview of what happened within the last days or weeks.